Fryderyk Buchholtz (1792-1837) was born in Warsaw, where he started as a carpenter. After studying piano making in Wien, he opened his piano workshop in Warsaw in 1815. Soon after he became well-known for his giraffe pianos, which received medals at Warsaw exhibitions in 1823 and 1825. In the mid to late 1820’s the Chopin family purchased a Buchholtz grand piano, which was used on March 17, 1830, at the Warsaw premier of f minor concerto. 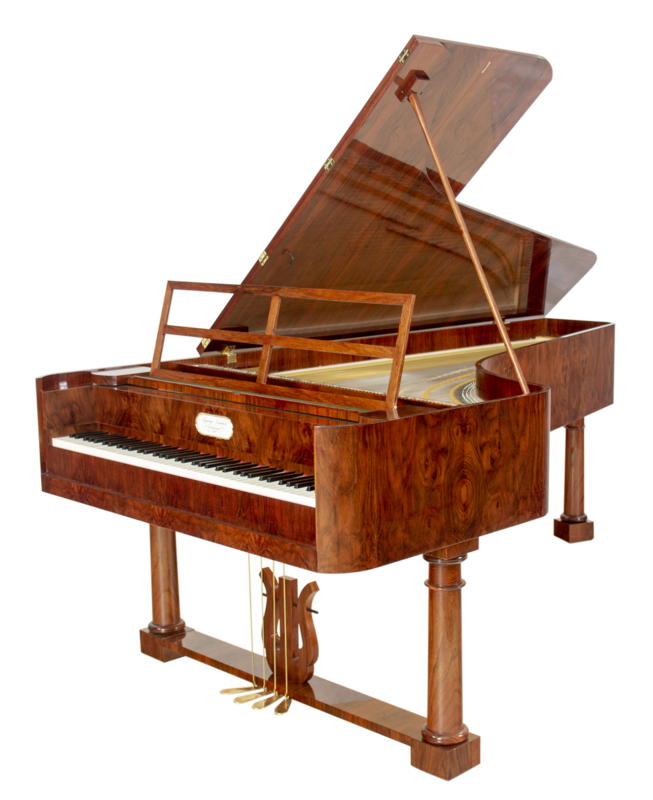 The example for Paul McNulty’s copy was a 1826 Buchholtz piano in Kremenets, a masterpiece showing the influence of the Paris and Vienna traditions of piano making. This can be seen in the soundboard where the grain is 40 degrees to the spine, like Pleyel, while featuring a typical Viennese mechanic. 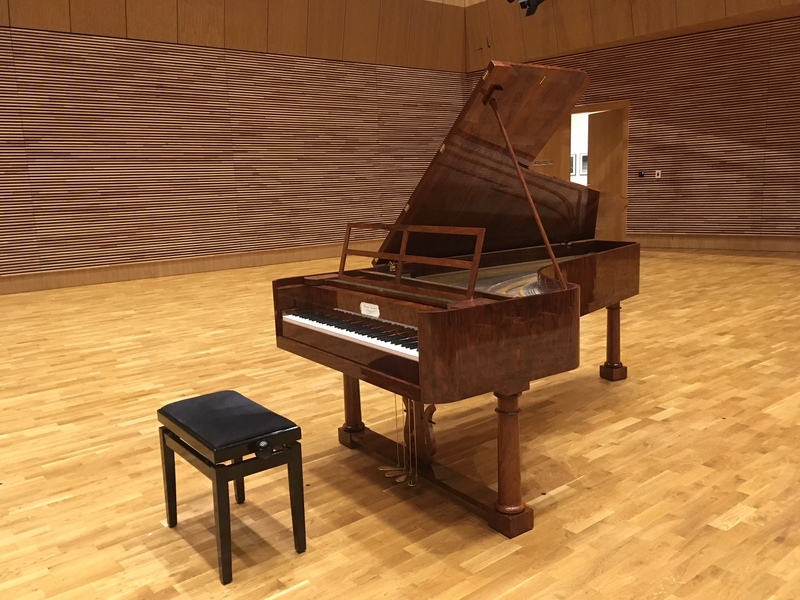 The resulting instrument is perfectly suited to the music written at this time in Warsaw, suggested in Chopin’s comment to his friend Woyciechowski that Buchholtz pianos have a pleasing touch and alluring sound. Chopin regularly visited the Buchholtz workshop and knew his pianos well — according to contemporary notes, every time when more than two guests came to hear Chopin, the company was moved to Buchholtz workshop. The copy of Buchholtz piano made by Paul McNulty for Warsaw Chopin Institute is perfectly suited to Chopin’s early works. This instrument reveals Bucholtz’s self-assured design, with technical and acoustic identity sounding forever Polish.